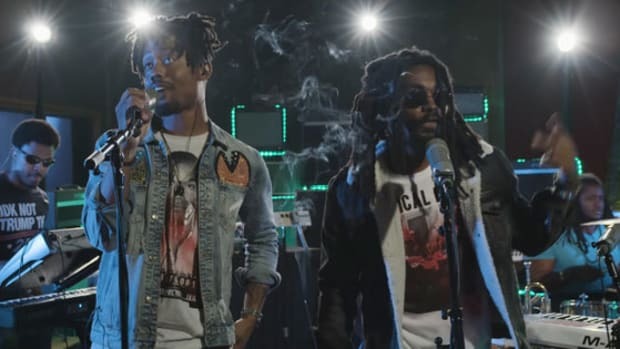 In the hours leading up to the release of RAGS―the first of three new 5-track EPs―Atlanta duo EarthGang made an exciting announcement: Doctur Dot and Johnny Venus are officially signed to Dreamville Records. Seven months ago, J.I.D’s name began to skyrocket as news of his signing to Dreamville spread like wildfire. 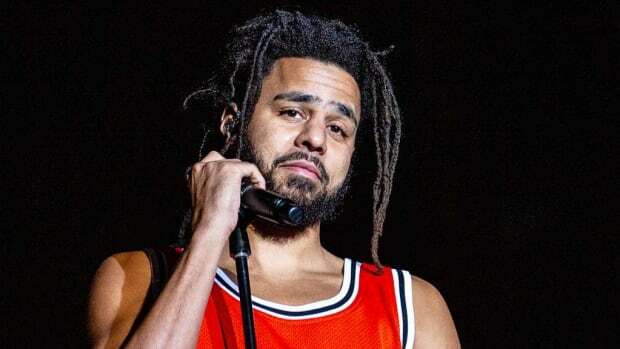 The deal with J. Cole’s imprint brought a newfound public awareness to his music―more ears than ever were listening when he released The Never Story―and what they heard was an undeniably gifted artist. His music even reached the ears of Yasiin Bey, who recently praised his talents during an interview on Hot 97. With the release of RAGS and their big announcement, all of those ears are now on EarthGang, as the duo takes their first few steps toward center stage. 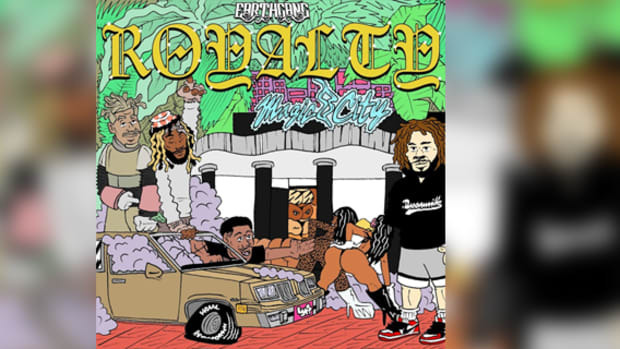 The first time EarthGang met J. Cole and his manager, Ibrahim Hamad, was in 2014, while they were the opening act on Ab-Soul’s These Days Tour alongside Dreamville artist Bas. Before a deal was ever presented, they became acquainted with one another; the road is where they fostered a genuine relationship with Bas and the entire Dreamville team. Two years later, while on the road with Mac Miller for the GO:OD AM. 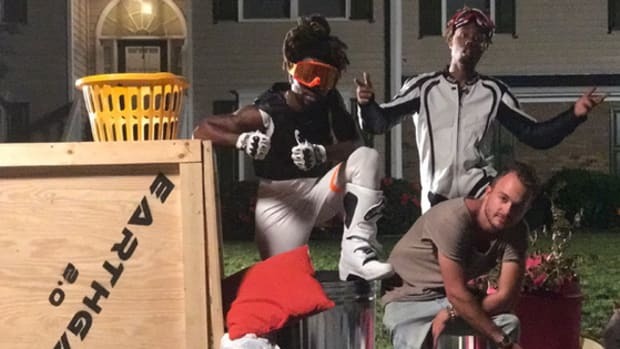 Tour, EarthGang paid a visit and crashed at Dreamville’s studio, The Sheltah, after a show in Charlotte, North Carolina. During our recent conversation, Johnny Venus recalled how good it felt to arrive and experience a sanctuary for artists to create in and work on their craft. He made it sound like the perfect home away from home for a rapper needing a space to record without worries. The duo saw a family environment and a home base for artistry. 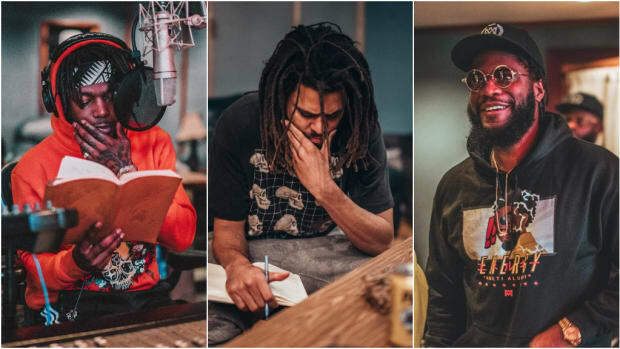 The visit was inspiring and only strengthened the connection between EarthGang and Dreamville. They would return to The Sheltah after Mac’s tour was over, but this time they put in work. “Chase the money if you want to and you’ll end up somewhere money can’t save you,” said EarthGang&apos;s manager, Barry Johnson, who has been sharing this golden mantra for years. He’s a firm believer in following the best situation for the artist and not the most money. A strong team and the right opportunity is worth more than the big check. EarthGang wasn’t after the biggest payday but rather the best fit for their artistry. They believe the money will come. When I asked them about labels, EarthGang admitted they weren’t seeking a traditional record deal and that their seldom, early experiences with labels were offputting. “Going into the label meetings, everyone wanted to look at our analytics and wonder how they can market us instead of asking how we wanted to market ourselves,” Johnny stated frankly. 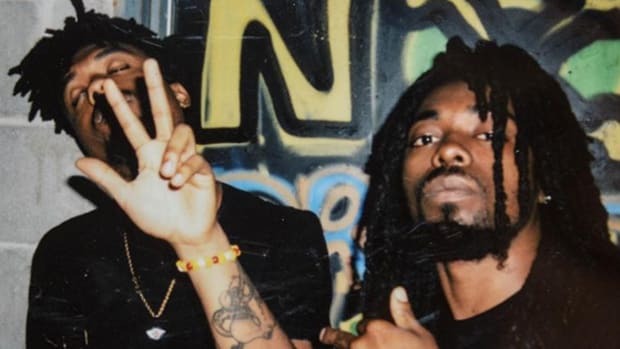 The labels weren’t trying to develop EarthGang and assist them in maximizing their vision; they wanted to merely split the gold after the duo had done most of the digging. The labels wanted to be present for the reward and none of the work. 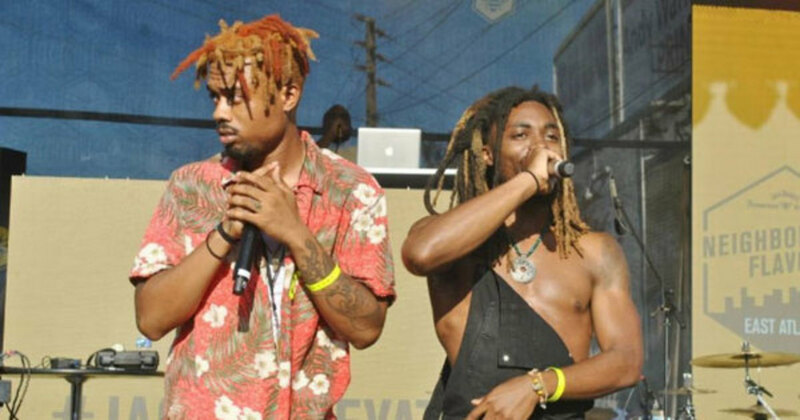 Spillage Village, the Atlanta collective that EarthGang helped to birth, was originally built as an anti-label, allowing each member to be the master of their own universe instead of chasing after a major. 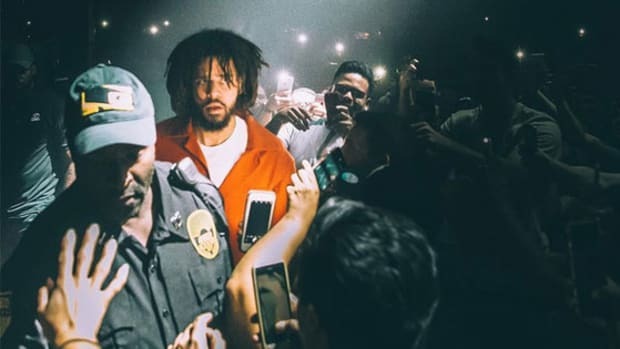 But Dreamville and Interscope changed their perspective, allowing the pair to find a home where art and the artist matter. In the first part of my interview with EarthGang, I wrote about a song with the hook, “Are we born to live, or do we live to die?” Although that record didn&apos;t make the final cut, it was placed by “Meditate,” featuring J.I.D, which explores Blackness and America. As a Black man, the song&apos;s chorus, "Looking for peace in America / Looking for peace when I stare at you" speaks volumes in 2017. Peace is harder to find these days than Carmen Sandiego was in the &apos;90s. The production is slow and woozy, like a drunk who&apos;s trying to resist a forthcoming blackout. “Meditate” is a perfectly titled intro, quietly foreshadowing the meditative introspection that will be heard throughout the 23-minute listening. Despite being short in length, each song on the EP is enjoyable for various reasons. 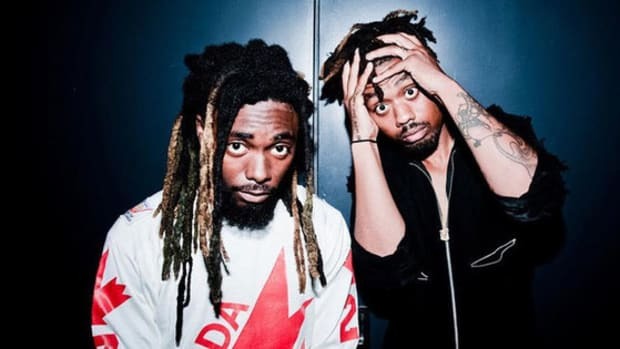 “Red Light” is the closest EarthGang gets to crafting a catchy song for the mainstream, the simple-yet-infectious hook will be an anthem during live performances. The lyrical content doesn&apos;t suffer, the verses are filled with reminiscing and musing past hardships. You feel Venus when he raps, “I done fucked up a couple dollars to, I ain’t have much, all I had was the Hallelujah from Grandmama” and Doc matches the thoughtful lyricism with his own, “No prescription but the medicine is heavier than ever, got brothers that ain’t lived to see 2011.” It’s a jubilant beat, the kind of bounce that jumps in your skin; shoulders will shimmy to some of the most honest lyrics on the EP. You can have a bop with depth. The sonic palette for RAGS doesn’t sound like the music that is currently dominating the city of Atlanta. The entire EP is smoother than Snoop Dogg at a Playas Ball. EarthGang has never followed the trends, and it’s rather refreshing to hear a record like “Legendari.” An excellent example of EarthGang’s development as artist crafting songs and not just focusing on the best bars, "Legendari" is the kind of easy listening record that&apos;s like a La-Z-Boy recliner—you just sink into the warm music with comfort. The saxophone alone makes this an early favorite. “Nowhere Fast,” which features soulful background vocals by Childish Major, is also a mellow treat, but the Mick Jenkins-assisted “House” is a personal highlight. It’s the unexpected curveball, musically and sonically a quantum leap into a different universe. This is the kind of out-of-the-box thinking music that places EarthGang in the Atlanta lineage of iconic acts like Outkast and Goodie Mob. RAGS is an excellent introduction for first-time listeners. It’s diverse, showing a rare amount of range in a very limited space. EarthGang made sure their first offering on Dreamville couldn&apos;t be comfortably placed in a box. It’s honest and imaginative, too short to overstay its welcome and long enough to prove they are leaders and not followers. This is the beginning of EarthGang’s flood, but I&apos;ve been assured the music will only get better from here. J. Cole believes. Dreamville believes. DJBooth believes. Give them seven months or less and I’m certain you too will be a believer.